Seattle Seahawks head coach Pete Carroll right, greets Seahawks' Earl Thomas after a play against the Carolina Panthers in the second half of an NFL football game, Sunday, Dec. 5, 2010 in Seattle. 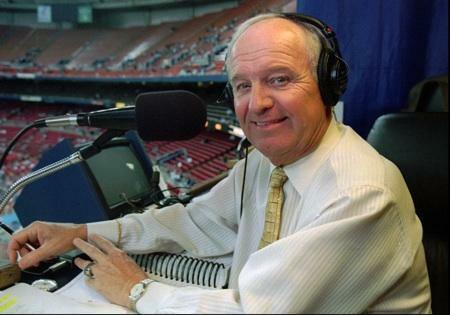 Seattle Mariner hall of fame broadcaster Dave Niehaus died in November. Tributes followed, and his passing is among the top five stories in Northwest sports in 2010, according to Art Thiel. 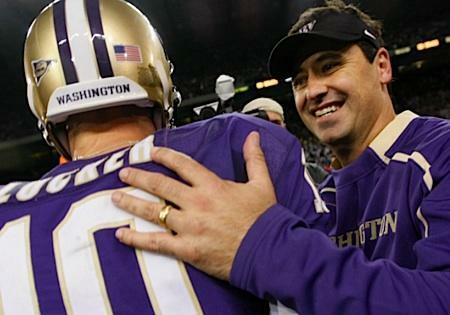 Washington coach Steve Sarkisian and quarterback Jake Locker helped lead the Huskies to their first bowl appearance in 8 years, a trip to the Holiday Bowl in San Diego. 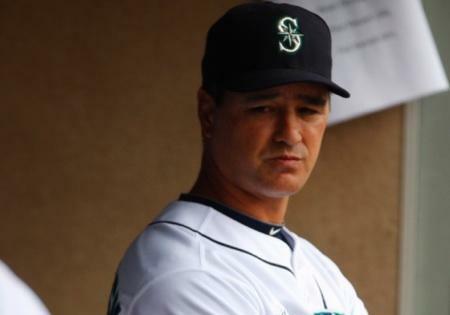 Mariner manager Don Wakamatsu was fired mid-way through the 2010 schedule, a season Art Thiel says was the franchise's worst ever. 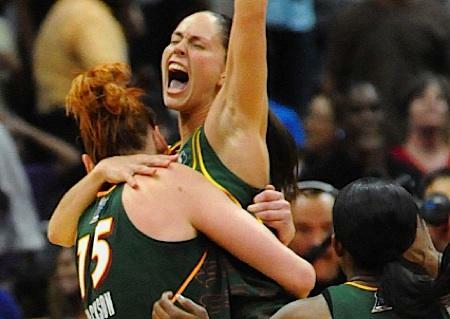 Seattle Storm stars Lauren Jackson (left) and Sue Bird (right) celebrate after helping lead the team to its second WNBA title, defeating the Atlanta Dream. Art says this was the highlight of the competitive season in Seattle (although the Seattle Sounders F-C did make it to the playoffs for the second straight season). Sue Bird, Lauren Jackson and Swin Cash led a team that not only won the championship, but they dominated the regular season. With 28 wins and just 6 losses, the Storm had the best regular season record in the WNBA and were undefeated in the playoffs. "They sustained both their fitness and their concentration all the way through. They dominated entirely and even more dramatically than in their first title in 2004, so Storm fans had a lot to be proud of." After winning their first WNBA title in 2004, the Storm had been eliminated from the postseason in the first round the next five seasons. Art calls it the worst season ever for the Seattle Mariners – given the expectations and the disappointments. Art says the problems began in spring training when star pitcher Cliff Lee got injured (the M’s ended up trading him in 2010 to the Texas Rangers, who made it to their first World Series). Designated hitter and fan favorite Ken Griffey Junior was hitting poorly and ending up retiring mid-season. Manager Don Wakamatsu was fired. And the Mariners ended up losing 101 games – for the second time in three years. The Mariners hired new manager Eric Wedge in the fall of 2010. 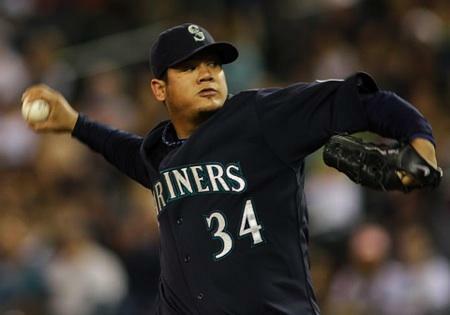 One of the few bright spots in 2010 for the Mariners was star pitcher Felix Hernandez winning his first American League Cy Young Award. Art says 2011 will be a rebuilding year with a lot of young players. The proof: Washington's convincing upset victory over the 18th-ranked Nebraska Cornhuskers in Thursday night's Holiday Bowl. Art says this bowl appearance is going to be a watershed moment in the history of Husky football. Though he calls the regular-season record of 6-6 not a prideful record, the Huskies did have the nation’s second-toughest schedule this year. 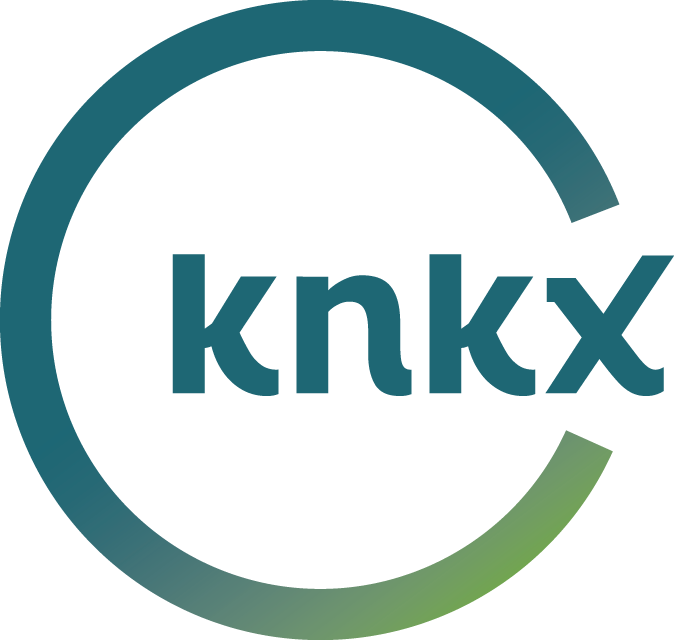 Art says the sudden death of the Mariners first and only play-by-play announcer Dave Niehaus on Nov. 10 was a terrible blow for the community. The Seahawks fired head coach Jim Mora early in 2010 after just one season. They replaced him with USC head coach Pete Carroll. They also hired a new general manager, John Schneider. And then they completely tore apart the roster. 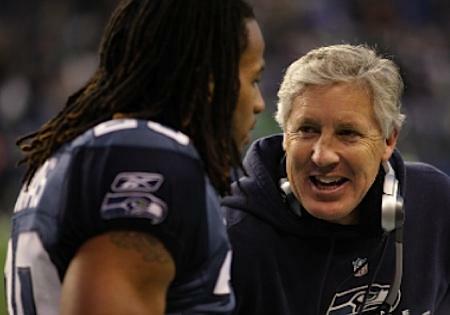 Art says, despite all the tumult, Carroll and his staff actually managed to make the Seahawks relevant into late December. He says 2010 was really a placeholder season. The Seattle Storm host Atlanta at KeyArena this evening in Game 2 of their best-of-five series for the WNBA title, the top rung in women's basketball. The Storm won Sunday's first game. 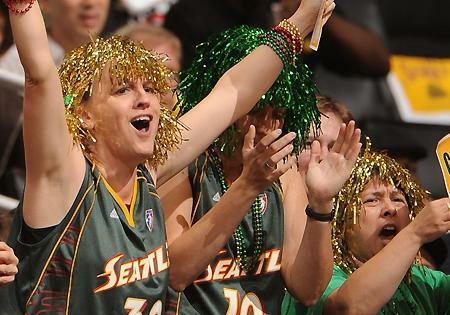 When the team flies to Atlanta for Game 3, some of their most vocal fans plan to be there.